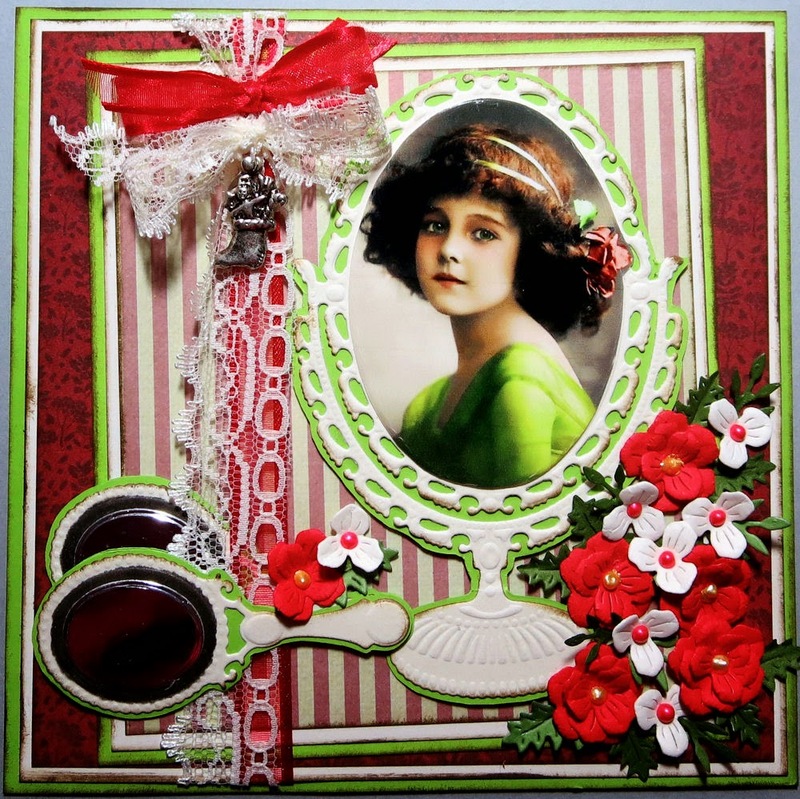 I love the Vintage Mirror die set from Marianne Creatables and have three cards to share with you using that die. as usual I will list the other dies used below each card. The leaves are from the Memory Box Fabulous Phlox Die. 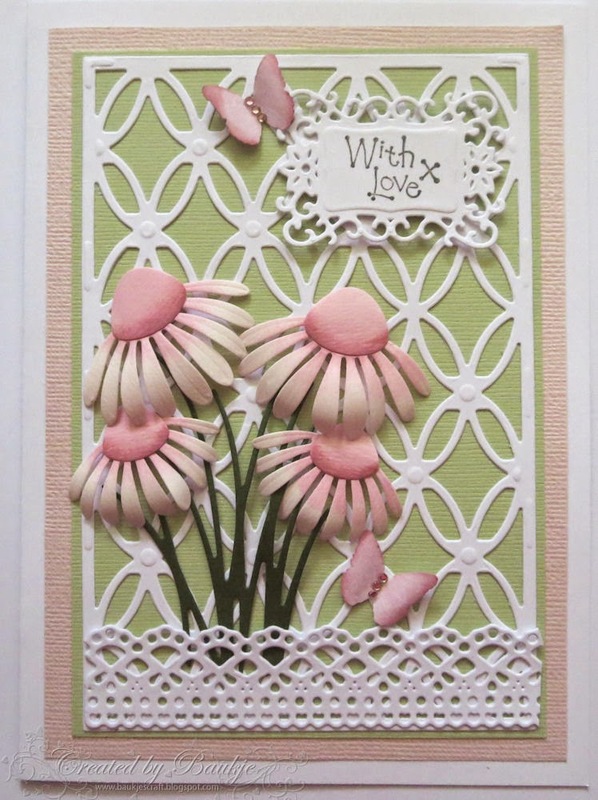 The border is the 2 lacy Borders from Paper Artist. For my step card I used the Crafts Too die set. Best Wishes is Cheery Lynn. This card I did in Christmas colours for a magazine ad. 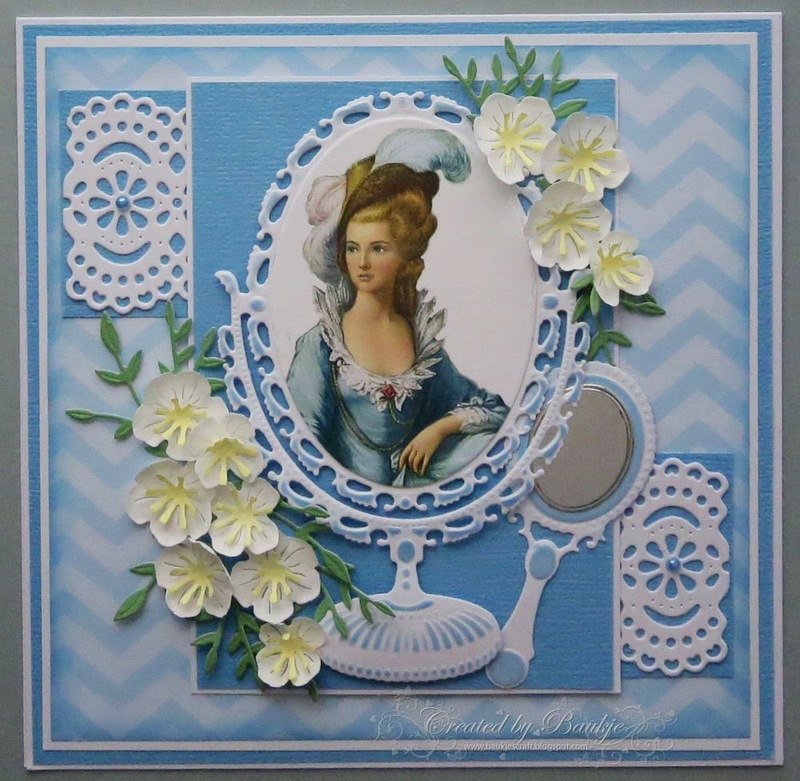 Again using the Marianne Creatables Vintage Mirror Die set. 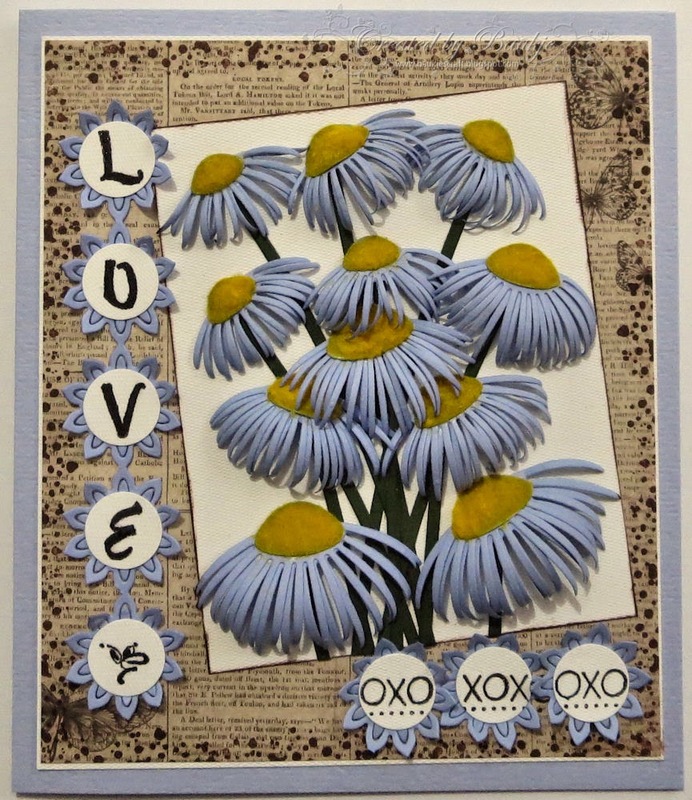 the Joy Crafts 10 petal Flower Die. 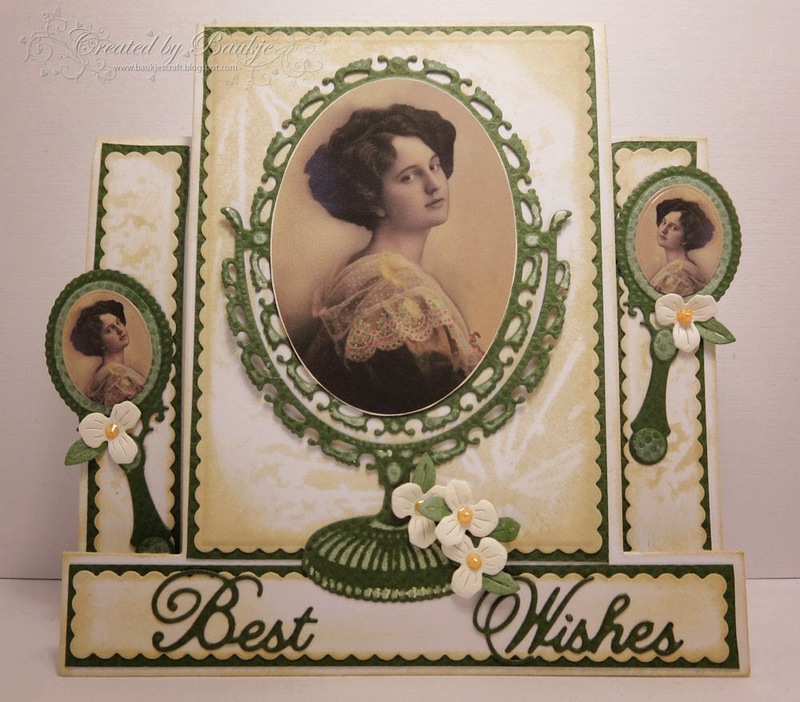 Here I am............sharing some cards made for Fat Cats Card Corner. 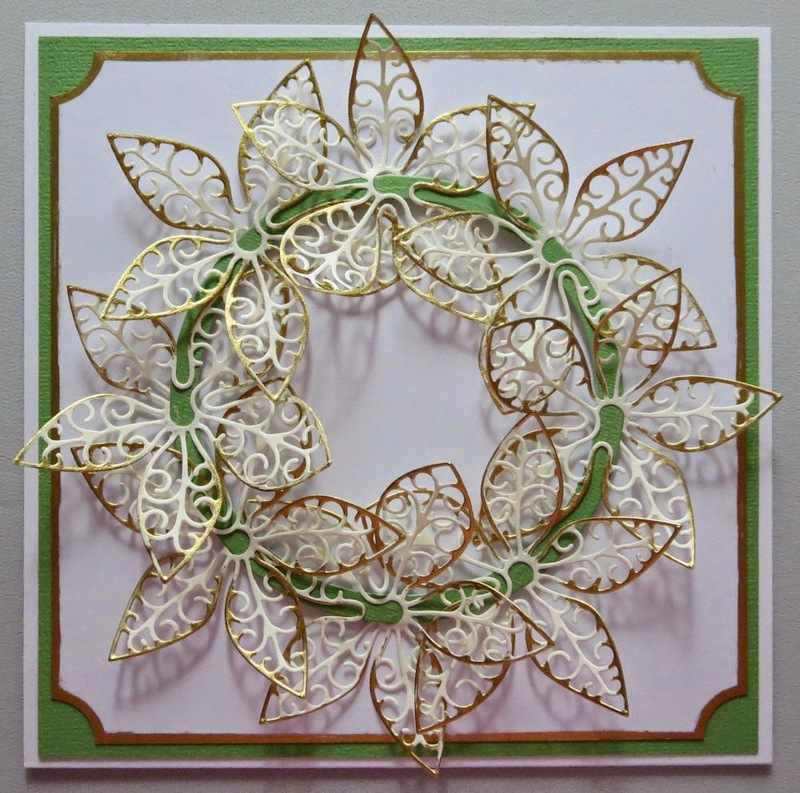 For the card above I cut a circle wreath using two Spellbinders circle dies then hooked the lovely Poppy Stamps Luxe Poinsettia small die all around, before I did that I edged the poinsettia cut outs with a gold leafing pen, which I also used on the edges of the white card. 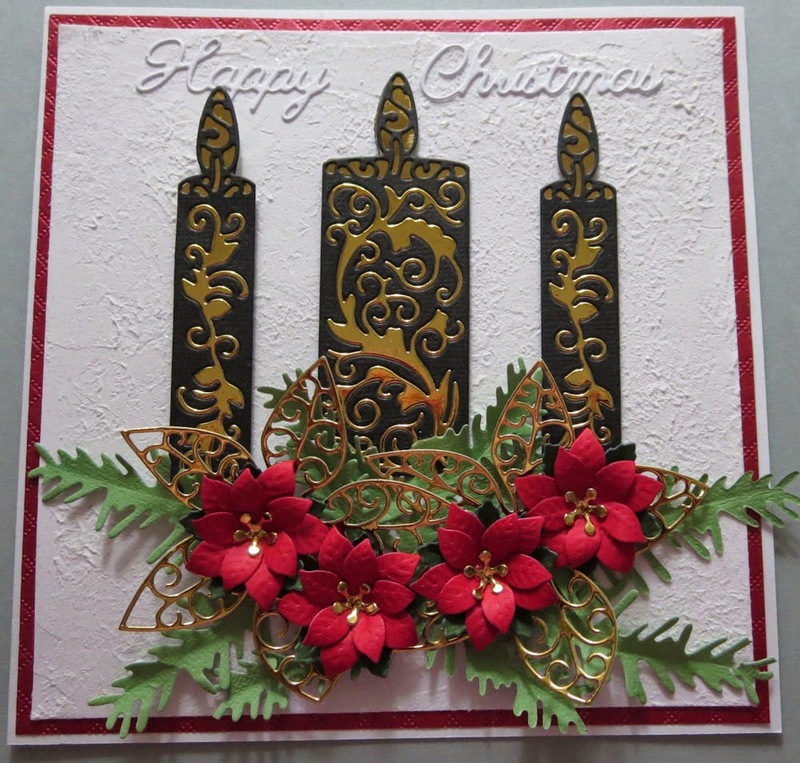 For the candle card I created the white background by spreading on some Aleene's Glitter Snow and then bounced a wet wipe over it to spread it around and to give it more texture. and the butterflies are a Martha Stewart Punch.